Everywhere you look there is living history before your eyes. Go back in time to learn about WW II from the brave men and women who lived it. Featuring the Commemorative Air Force B-29 Superfortress, “Fifi”. WWII Air Show: All types of famous WW II aircraft on the ground and in the air! Military Vehicle Show: See Allied and Axis vehicles placed in contextual display. WW II Battle Re-Creations: Skirmishes in a re-created French Village and a large scale demonstration battle take place. War Front Tent Displays: Allied, Axis, PTO, ETO, Mediterranean and Russian. Great American Home Front Displays: A 1940’s street re-creates the Home Front including the Victory Theater. Gates open at 8:30 AM. Tickets $26. Light City transforms the city with world class light displays and sculptures, video projections on buildings and interactive technologies to create once-in-a-lifetime experiences for families, residents and visitors. 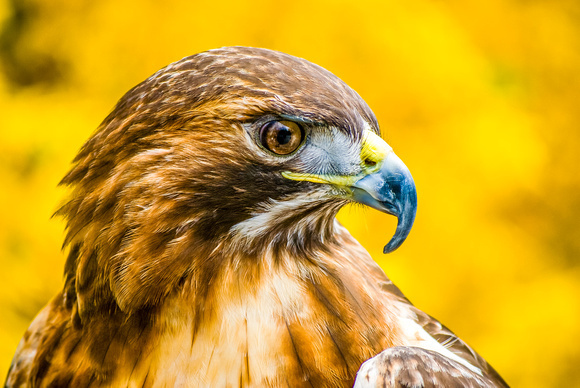 Spend the day with our birds of prey! Take pictures of our resident injured and orphaned birds in natural settings.Some of our other animals may also make an appearance! Whether you are a professional or a novice, take advantage of taking pictures of these beautiful animals up close. $35 per photographer, $15 for photography classes and clubs. A New Adventure on Ellis Island! 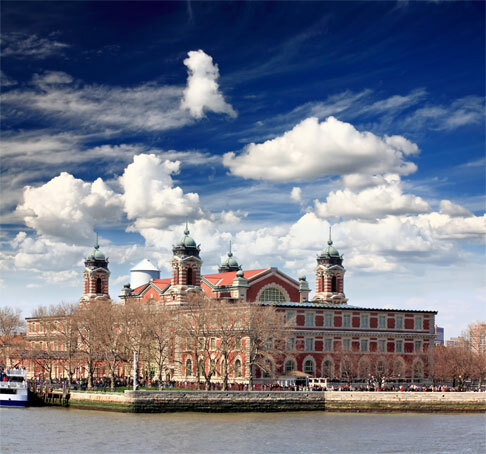 See Ellis Island’s other side – Visit the un-restored Ellis Island Hospital Complex on a 90-minute “Hard Hat Tour”. Guided 90-minute tours will take you to select areas of the 750-bed Ellis Island Hospital. Visit the Laundry Building, with much of its original equipment still in place, where over 3000 pieces of laundry were washed and sanitized daily, infectious and contagious disease wards, kitchen, staff housing, autopsy room and more. As part of the tour opening, an art exhibit, “Unframed – Ellis Island,” by renowned artist JR will be on display throughout the hospital complex. The exhibit features life size historic photographs of Ellis Island immigrants installed on 16 interior walls. JR, the recipient of the prestigious TED Prize, is known throughout the world for his “Pervasive Art” exhibitions which are designed to raise questions. Don’t forget to bring your camera. You may even catch a ghostly image looking back. This experience is one you won’t want to miss! The “Hard Hat Tour” is a program developed and administered by Save Ellis Island, Inc. All proceeds from the tour will go to the restoration and preservation of the unrestored historic south side buildings. Still photography is allowed as long as it does not delay the tour, at the Save Ellis Island tour guide’s discretion. Additional camera gear such as tripods, unipods and additional lighting is not permitted. Sunset is around 6:36 pm these days and ideal twilight is 6:53 pm So 6:30 pm would be a good time to meet. If you come later, no problem you can catch up to the rest of us. Parking cost seems to be $9 for three hours. FYI: On Weekends you can park there for about $5 all Day. Note there are two garages on Caroline St. one further South i.e. closer to Fells point is more expensive and it not the one described here. You will come to cheaper one (i.e. listed here) first if you head south on Caroline St.
As many of you know I have been working at the Ren Fest this fall and I heard about something that I thought you might be interested in. Apparently the very last day of Ren Fest, which this year is Oct 23rd, is also known as the Day of Wrong. As if the Ren Fest wasn’t already a fabulous place to people watch, on the Day of Wrong all bets are off. From what my coworkers have told me you’ll see all manner of silliness – from men dressed as women in elaborate ball gowns, to Star Wars Storm Troopers, to Batman, Robin, Wonder Woman, the Joker, Furries and Plushies, and all manner of other ridiculousness alongside people dressed in traditional Ren Fair outfits. We do have a humor contest later on this year, I’m thinking a photo of a Storm Trooper having beers with a Furry would be pretty funny. 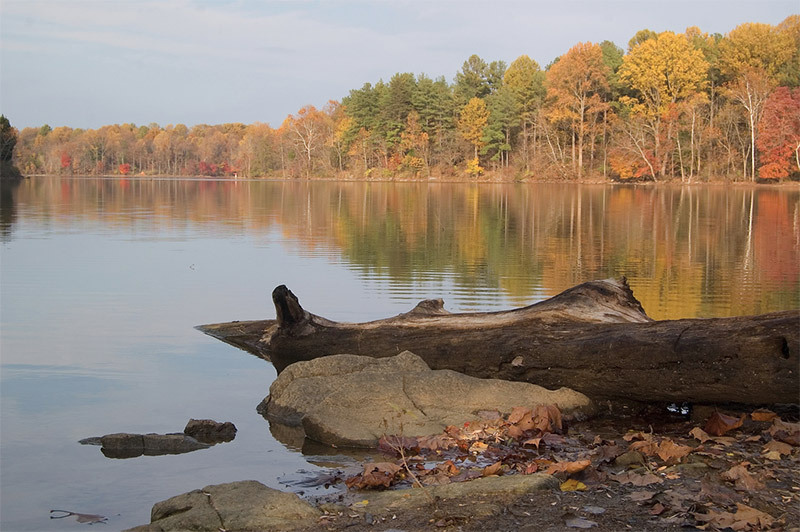 Rocks State Park in northern Maryland is just an hour’s drive outside of Baltimore, making it a great option for nature photographers living in, or visiting, the city. There are two main features in the park that will appeal to photographers. 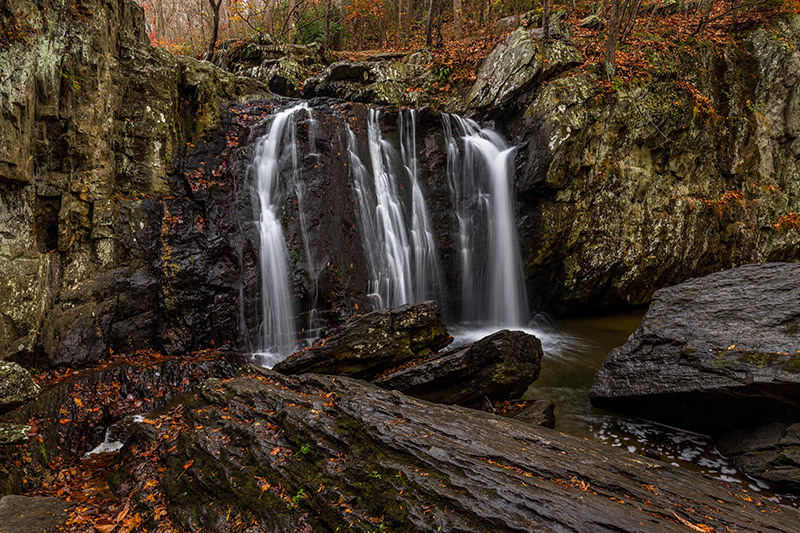 The first is Kilgore Falls, a beautiful 19-foot waterfall. 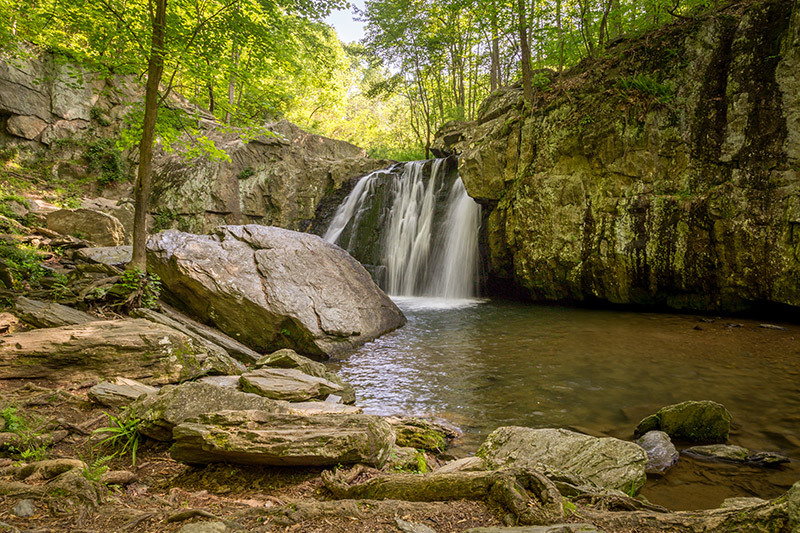 The second is the King and Queen Seat, a 190-foot rock outcropping that rises about the surrounding forest. 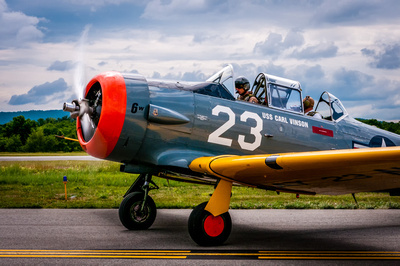 The 26th Annual WWII Weekend airshow will feature many familiar friends as well as some exciting new additions. Among the returnees are FIFI, the only flying B-29 Boeing Superfortress in the world, leading a squadron of a dozen bombers. Nine fighters will scream around the Reading sky including two first-timers: the rare Messerschmitt Bf-109 and the De Havilland DH-98 Mosquito, the fastest piston-driven aircraft of the war, both from the Military Aviation Museum. A bevy of transports, trainers, utilities, and “L-birds” round out the roster of airshow performers. For the second year, The World War II Airborne Demonstration Team will be jumping from the Curtiss C-46 “Tinker Belle” on Saturday and Sunday. 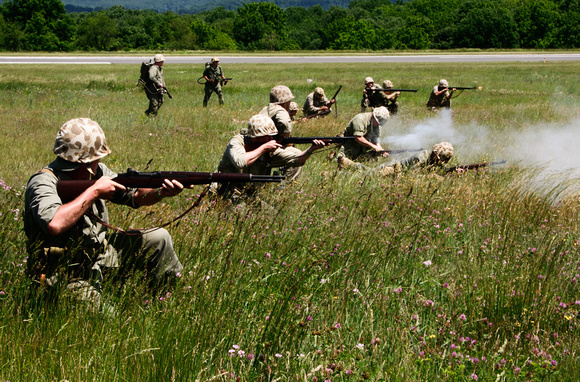 Don’t miss this opportunity to witness an authentic WWII paratroop drop right before your eyes on the KRDG mid-field. Gates open at 8:30 AM* each day RAIN or SHINE! ADMISSION TICKETS ARE VALID FOR ENTRY ON ANY SINGLE DAY OF THE EVENT; FRIDAY – JUNE 3, SATURDAY – JUNE 4, OR SUNDAY – JUNE 5.